Vinod Joshi | Investment Concepts & Financial Planning Services, Inc.
Vinod Joshi is a Financial Advisor with Investment Concepts, Inc. Since 1999, Vinod Joshi has been associated with Investment Concepts and Financial Planning Services, Inc., an independent Oklahoma City firm with a focus on comprehensive financial planning and investment management. 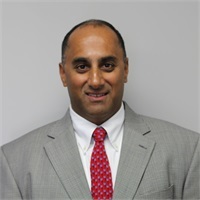 Vinod is an independent Investment Advisor Representative and is a Registered Representative of First Allied Securities, Inc., a San Diego based broker-dealer. These affiliations allow him to impartially offer both investment advisory services as a fee based planner and investment securities products. Vinod has three children and has lived in the Oklahoma City area since 2002. After graduating from the University of Oklahoma, Vinod felt confident that Oklahoma City would be the perfect place to raise a family and call home.